For the most demanding structural needs, you can rely on Decker. 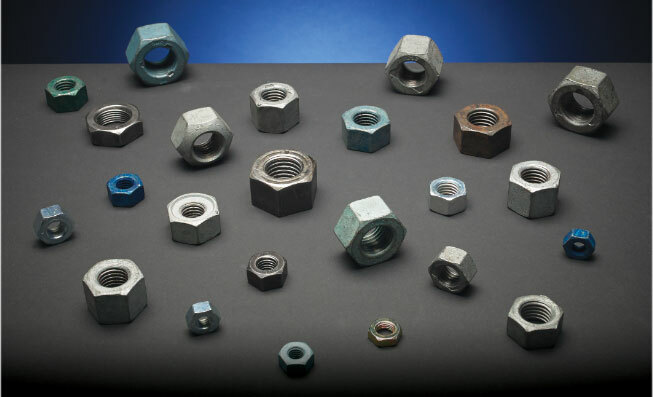 Domestic products for highway, bridge and building construction include hex, tower, guard rail and culvert nuts. All are available with a plain finish or a variety of coatings. A reputation built on quality and service. For use with A394 type 1 bolts. For use with A325 & A490 bolts. Manufactured using atmospheric corrosion resistant material with weathering characteristics. Available with or without prevailing torque/locking feature: 5/8", 3/4", 7/8". Available with recessed bearing surface. Double recessed: 5/8" & M16. Manufactured with carbon steel or weathering steel. Furnished in 3/4" & 7/8" thread sizes.